Contigo - Jackson 24-Oz. Water Bottle Add fresh style and quick hydration to your gym bag with this Jackson water bottle from Contigo. The 24-oz. capacity also is great for tracking your eight glasses a day. Pyrex - Easy Grab 3-Qt. Covered Baking Dish Bring out your baking best. This versatile glass dish is the perfect place to prep cook store & reheat your favorite creations. The Easy Snap Lid helps to lock in freshness when you're storing leftovers & larger servings! 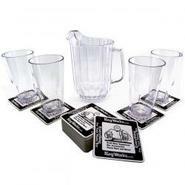 Generic - Pitcher and Pint Gift Set When a heavy-duty plastic beer pitcher tough pint glasses and seriously cool KegWorks coasters get together you end up with one popular bar gift set. The Cellar - Glass Bottle, Created for Macy's A silicone sleeve brings improved grip and stylish color to this bottle from The Cellar in glass that resists absorbing flavors or stains. Pyrex - 6-Pc. Rectangular Storage Set Bake it take it or store it in this classic set from Pyrex three glass containers in a range of sizes plus plastic lids. The dishes easily transition from oven to table to refrigerator. Martha Stewart - Bavaria Pepper Mill, 5.5 , Created for Macy's Add an element to your table setting that's not only practical but great looking too! Part glass and part stainless steel this pepper mill is a tabletop accessory that holds up to the daily grind. Limited lifetime warranty. Martha Stewart - Grilling Stemless Wine Glasses, Set of 4, Created A vivid look for your favorite vintage this set of four stemless wine glasses from Martha Stewart Collection adds durability and colorful nautical flair to your gathering. Oxo - 3-Pc. Glass Bowl Set Mix serve or bake in this versatile 3-piece set of bowls from Oxo. Perfect for prep work their clean lines easily transition to the table. Pyrex - 8-Pc. Mixing Bowl Set A wide range of sizes gives you perfect bowl for everything from serving a side dish to mixing batter with this set from Pyrex. The four bowls are in durable glass with lids for storage. OGGI - Canisters & Spice Jars, Glass 8 Piece Set Arrange. Organize. Preserve. This set of airtight canisters and spice jars have a sleek design and fresh functionality helping loose food look better and lasts longer on the counter or in the cabinets.
. - Vitra Glass Top Scale, 11lb The Escali Vitra comes with a tempered glass platform and enhanced qualities including a timer and temperature feature. Anolon - Food Prep Sauce Specialist Dressing Mixer From a creamy mayonnaise to a zesty ranch make it fresh and mix it fast with this set from Anolon. 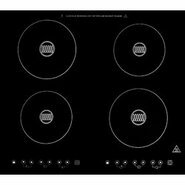 It includes a one-touch on and off switch for precision control plus a glass carafe that doubles as a storage container. Martha Stewart - 10-Pc. Glass Mixing Bowl Set, Created for Macy's From pinches of spices to batches of cookies you'll find the just-perfect size for the task among these glass mixing bowls. The 10-pc. set from Martha Stewart Collection ranges from 4.5.qt. to 1.24 oz. Pyrex - 12-pc. Decorated Glass Storage Set, Created for Ma A versatile and decorative solution for prep work serving and storage this 12-piece glass container set from Pyrex includes six sizes plus lids to let you mix microwave and freeze - all with the same container.